Once when our children were young, we had just watched a video about careers when one of them said, “Mommy, what are you going to be when you grow up?” I was just devastated. They didn’t understand that I had a degree in the hard sciences, could have done any number of amazing things, but that I had chosen to be their mommy. This book would have been just what I needed. When Stacy Farrell told us about her new book, we were surprised. 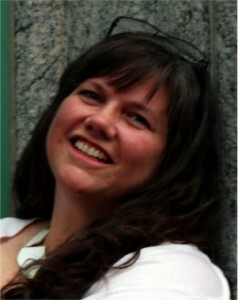 Stacy is the author of the remarkable Philosophy Adventure curriculum. Philosophy Adventure makes studying ancient philosophers that have impacted world thought as enjoyable as reading a magazine. Her Mere Christianity Critical Analysis Journal and Walking with the Waodani, a missions unit study, were also written in a thoughtful, serious vein, so we raised an eyebrow when Stacy mentioned she’d written a picture book. Really, though, many of our ideas about the world are determined in the picture book stage. That’s when we learn the difference between good and evil, begin to understand how society works, and start to think about what we want to do in our own lives. What better time to show our children that the work of a mother is worthy of honor! I’d Rather Be Your Mommy, a delightful little book with engaging illustrations, tells children all the exciting things you, their strong, competent mother, could have done like run for office or flown an airplane, but reassures them that, “I’d rather be your mommy.” What a great message for little ones. 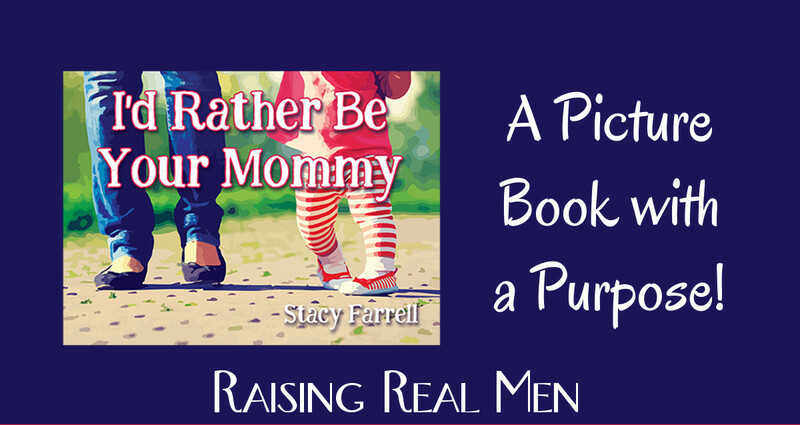 I’d Rather Be Your Mommy by Stacy Farrell, $16.95, Highly Recommended. Find it here. 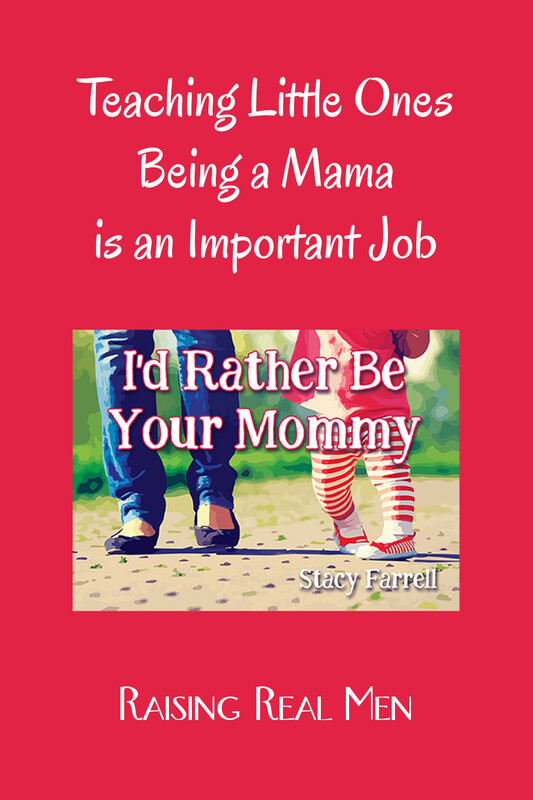 We were given a free copy of I’d Rather Be Your Mommy (or perhaps sent an ebook) shortly before it was published. We only endorse and recommend those books which we love and would use in our own home, though.